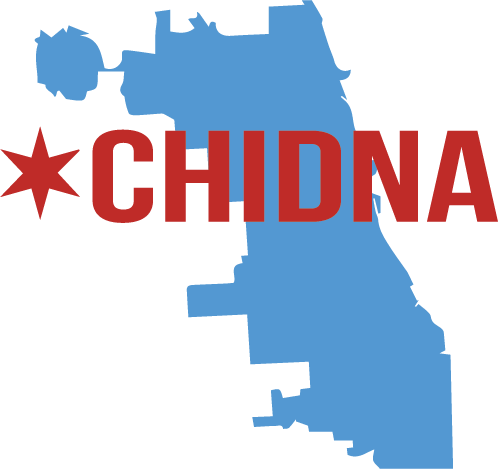 The Chi DNA Speaker Series collaborates with community groups, schools, and other institutions/people. With its academic roots and community integration, Chi DNA is positioned to analyze, discuss, and further call to action holistic solutions and dialogue around its many themes in a participatory nature. 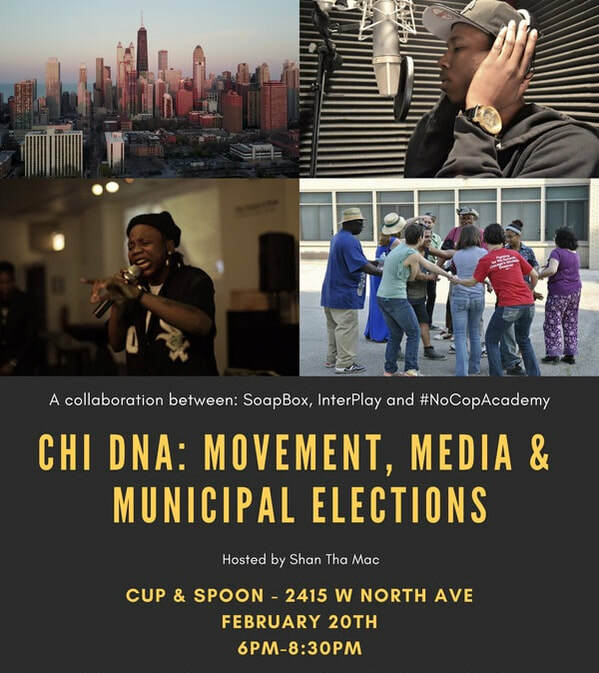 On February 20th, Cup & Spoon hosted Chi DNA: Movement, Media, and Municipal Elections, a multifaceted, community-engaging event featuring youth spoken word performances, a micro-documentary premiere, interactive movement activities (InterPlay), and participatory discourse around the intersections of voting, civic engagement, systemic violence, and radical politics. Read more the Chi DNA collaborators at Interplay.org and NoCopAcademy.com. 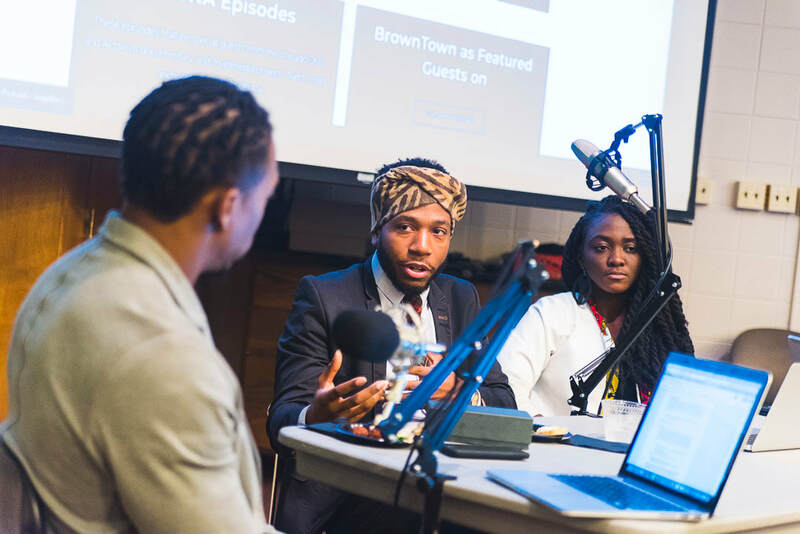 On October 5, 2018, the DePaul University Honors Program hosted SoapBox's affiliate podcast Bourbon ’n BrownTown in this live podcast recording tackling the Honors Program’s themes of the year, exile and refuge, as well as local/global displacement as a whole. After introducing SoapBox, the Chi DNA project, and the Bourbon ’n BrownTown format, BrownTown, their guests Jessica Puri and Heavy Crownz, and the university audience watched the Chi DNA Micro-Doc Episode 3 as a springboard for their discussion and following Q&A.